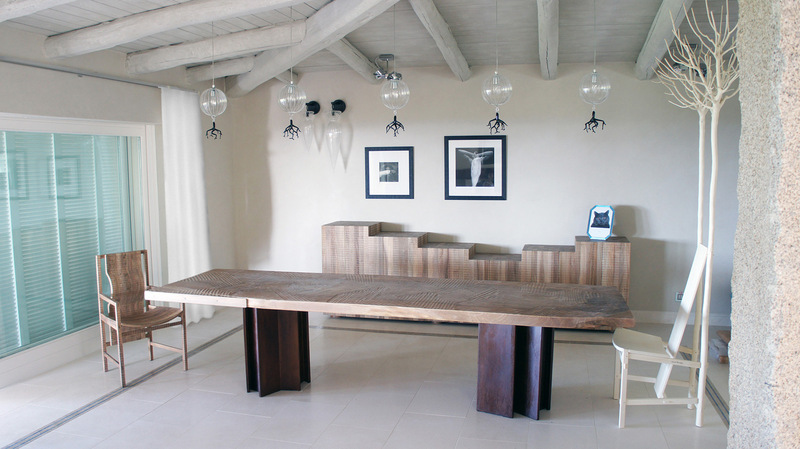 Bespoke table with corten steel legs and Italian walnut top. Nova dresser in Italian walnut Pisana armchair in Italian walnut. Fiorita chair in maple.